Every day, most people use a wireless telecommunication network of some kind. Wireless technology is everywhere, enabling us to seamlessly transfer information from nearly any device. For several reasons, low-power wide-area networks have emerged as an attractive solution for those who are preparing for an Internet of Things (IoT) explosion. 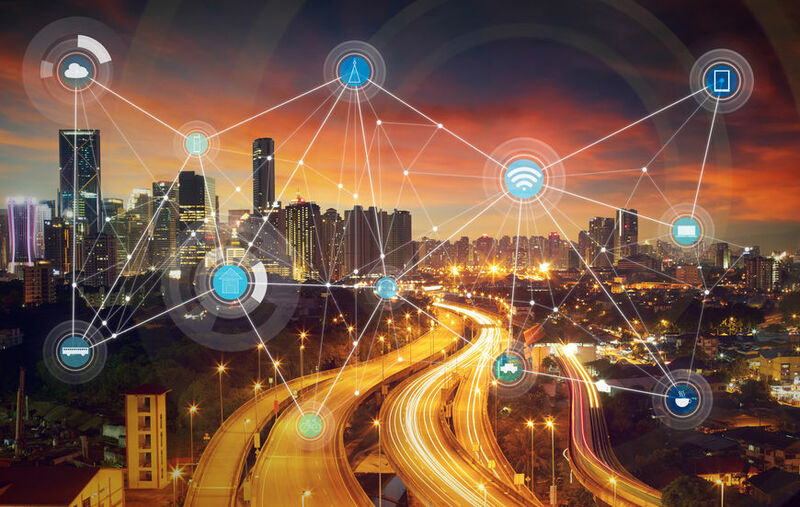 Connecting billion of wireless IoT sensors to the Internet simultaneously will bring about unprecedented innovation and new challenges that LPWANs are uniquely positioned to address. A number of companies are already investing in the technology and building out global networks. At the same time, cell carriers are leveraging their existing infrastructures to deploy alternative wide-area, narrowband solutions. Understanding the features and advantages of low-power wide-area networks is critical for any organization that aims to thrive in the coming IoT revolution. What are low-power wide-area networks? Why are LPWANs useful for IoT sensors? What are the limitations of LPWANs? What is the history of LPWAN technology? What are the leading non-cellular LPWAN technologies available today? What other notable non-cellular LPWAN technologies exist? What are the leading cellular LPWAN technologies available today? Are there LPWAN technologies based on mesh networking? How are LPWANs related to the Internet of Things? What are some examples of IoT applications that will be enabled by LPWANs? How will 5G impact LPWAN? Low-power wide-area networks, LPWANs for short, describe a class of radio technologies that are used for long-distance wireless communication. Whereas other wireless technologies, such as Wi-Fi and Bluetooth, transfer big data packets over short distances, LPWANs are used to send much less information over bigger footprints. LPWANs are designed and deployed in a variety of ways depending on the target application. There are two broad categories under which LPWAN protocols are grouped: cellular and non-cellular. Cellular LPWANs, which include LTE-M and NB-IoT, use licensed frequencies. Non-cellular LPWANs, such as Sigfox and LoRa, use unlicensed ISM radio bands. Why are low-power wide-area networks useful for IoT sensors? Low-power wide-area networks are marked by a few defining characteristics. First, LPWANs transfer information at a much lower bit rate compared to other wireless communication technologies. They consume less power from connected wireless sensors compared to other radio technologies, such as Wi-Fi or Bluetooth. As a result, LPWAN-enabled sensors can transmit event-based data packets for up to 10 years or more on a single battery. Comparatively, today’s best smartphones can last around 1-2 days. LPWANs also have very wide coverage areas, enabling wireless sensors to send digital information over long distances. Outdoor base stations and towers typically have a 1-30km range depending on the location of the sensor and other environmental conditions. They also require fewer access points to achieve longer distances. Third, LPWANs are far less costly to access and deploy. Because wireless sensors transfer very small amounts of data, associated hardware, components, and infrastructure are much more simple, and thus, inexpensive. Unlicensed band LPWAN infrastructure can be deployed using local gateways and base stations that are often located on building tops and high perspective locations such as billboards. This approach is far less expensive than traditional tower infrastructure. Additionally, maintenance costs are much lower as wireless sensor batteries don’t need to be replaced nearly as often. What are the limitations of low-power wide-area networks? One of the biggest limitations of low-power wide-area networks is that they transmit much less data than other radio technologies. LPWAN data rates typically range from 100bps to 10s of Kbps, making them unsuitable for relatively intense applications. Devices requiring low latencies, continuous data transfer, or large data exchanges between sensors are better off on higher capacity networks. Additionally, because many LPWAN protocols are delivered through unlicensed frequency bands, there is a higher potential for interference and errors during data transfers. An example of this is interference with RFID readers coexisting in, say a retail environment, with an LPWAN network. Europe has even greater limitations with duty cycle requirements and only has 10 channels available vs. 64 channels in North America. LPWAN coverage is also relatively underdeveloped compared to alternative solutions. Over the last several decades, cellular operators have built expansive networks that can now be used to support the Internet of Things. Compared to LPWAN developers, these companies have a higher upfront investment barrier to overcome in order to support IoT applications. Cellular providers have strict guidelines for infrastructure which are expensive, whereas LPWAN providers aren’t subject to regulated tower resources. The origins of LPWANs can be traced back to the late 1980s when ADEMCO (now the Honeywell wireless standard for home security) built a low data network to monitor alarm panels. Around the same time, Motorola launched a low-speed wide-area network, ARDIS, for certain sales automation and transaction tracking processes. Although different from modern LPWANs, these innovations served as precursors to the technology that is emerging in the space today. In the 1990s, 2G was born as cellular carriers began to transmit data alongside voice over long distances. Over time, Internet demand skyrocketed, pushing companies to include connectivity capabilities in more and more devices. With this trend came the need for lower-cost, lower-power wireless communication solutions. In recent years, LPWANs have surfaced as one answer. In 2009, the French company, Sigfox built the first modern LPWAN, which could integrate applications in real-time more effectively than past forms of radio technology. Sigfox’s LPWAN is proprietary and used throughout dozens of countries today. As of the writing of this article, 57 countries have some level of Sigfox coverage. Three years later, Semtech launched the LoRa protocol which operates in various unlicensed bands depending on the country where it is located. With LoRa, developers can deploy their own wide area networks rather than use existing infrastructure. For cases where it is desirable to connect to an existing network, some public LoRaWAN providers have emerged including Senet, The Things Network, and machineQ. Today, there are a number of companies deploying LPWANs for various applications, many of which participate in the LoRa Alliance. Created in March 2015, the LoRa Alliance is a nonprofit association consisting of more than 500 member organizations that aim to promote the success of LPWAN protocols worldwide. Sigfox and LoRa are the most widely used, non-cellular protocols today. Sigfox uses ultra narrowband modulation, a highly efficient method for transmitting information, to send very small data loads (up to 12 bytes of data). Sigfox has installed base stations all across the country, creating wide LPWAN coverage for IoT devices in most major U.S. cities. Much like how cell phones communicate directly with cell towers, Sigfox-enabled devices can connect directly to the cloud through Sigfox towers without needing gateways or access points. The Sigfox network is particularly valuable for communicating information through open-air and noisy environments due to their extremely low data rate. Sigfox is typically best suited for simple sensor devices that only need to communicate a small number of messages per day such as threshold alerts, security alarms, emergency event monitoring, etc. LoRa (short for Long Range) uses a chirp spread spectrum modulation scheme to transfer digital information over long distances. LoRaWAN sits “on top of” LoRa, and is an openly available Media Access Control layer specification. The scheme is resistant to multi-path fading and can transfer bigger data loads than Sigfox. LoRaWAN also uses more bandwidth due to its modulation scheme vs Sigfox’s ultra-narrow-band technology and therefore can support a larger number of devices transmitting at the same time..
Like Sigfox, LoRaWAN uses public base stations to connect devices to the Internet. However, public deployment is very limited in comparison to Sigfox. You can also install and configure personal gateways to expand LoRaWAN coverage. This is especially valuable in remote areas where cell tower coverage may be limited. Sigfox does offer expansion gateways, but they are only available through a licensing model and at a much higher cost. Radio Bridge develops wireless sensors for both Sigfox and LoRa protocols. Using Radio Bridge’s device management console, you can configure your sensors after they are deployed in the field, provision sensors to the various networks automatically, and monitor all sensor data with an easy to use API. The console handles all of the critical timing issues associated with each network and abstracts it for the user. Aside from Sigfox and LoRa, there are other LPWAN standards available in the market today. Weightless is an open protocol that is designed to function within a variety of unlicensed bands. The company behind the network, Weightless SIG, originally had three different LPWAN standards, Weightless-P, Weightless-N, and Weightless-W, each of which possessed unique characteristics. Today, it seems Weightless-P is the company’s primary focus. Ingenu RPMA (Random Phase Multiple Access) is another standard that can support nearly 400,000 nodes per “sector” with few access points. Unlike Sigfox and LoRa, the network uses the globally available 2.4 GHz ISM band and enables two-way data transfer over wide coverage areas. Additionally, Ingenu operates the publicly available Machine Network, which provides services to more than 30 cities in the U.S.
Cellular carriers are beginning to explore how to utilize their existing networks to provide similar functionality for IoT. Traditional cellular networks are characterized by heavy power consumption and high maintenance costs. Now, carriers are serving narrowband applications with current cellular standards. LTE-M, short for LTE Cat-M1, is a cellular IoT solution that can connect devices directly to the Internet using existing LTE networks. LTE-M is less costly and more energy efficient than traditional cell networks. It is also the highest bandwidth LPWAN technology in existence today. Narrowband IoT, or “NB-IoT,” is a cellular radio technology standard that provides low-cost wide area coverage at a reduced rate of power consumption. NBIoT operates very differently than other LTE standards so it cannot overlap other protocols and needs its own dedicated bandwidth. Deployments by some cellular carriers like T-Mobile have use the channel guard bands to isolate the NB-IoT spectrum which helps lower deployment costs since it can ride on top of the existing infrastructure and antennas. NB-IoT and LTE-M both operate on licensed frequencies and are products of 3GPP (3rd Generation Partnership Project). In short, mesh networks do not fit into the category of LPWAN networks. Mesh networks are built with webs of interconnected nodes that each extend radio signal independently. Mesh networks consist of three components: gateways, repeaters, and end points, which work together to communicate messages from one wireless sensor to another. However, the technology is energy inefficient and is better suited for devices that need to send data over medium distances rather than long distances. With the Internet of Things space set to boom, LPWANs will become critically important. Across many different industries and spaces, thousands of devices will work together to automate functionality, reduce operational costs, and reach new heights of productivity. We need wireless networks that can easily transmit data over long distances without consuming much power. Additionally, companies that will deploy IoT devices need a cost-effective solution that will enable them to simultaneously connect many sensors to the Internet. Otherwise, many exciting IoT applications won’t actually be feasible. What are some examples of IoT sensor applications that will be enabled by LPWANs? 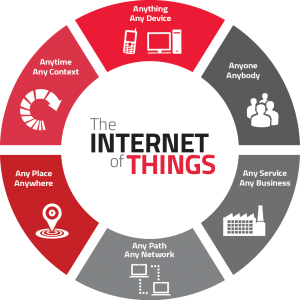 LPWANs create the potential for many different sensor-based Internet of Things applications. All around the world, urban jungles are evolving into smart cities. With strategically placed wireless sensors, cities are implementing intelligent streetlights and automated traffic management. The city of San Francisco is planning to install wireless sensors in 1,000 trash bins around town in order to study trash patterns and optimize waste management processes. In smart homes, wireless sensors are helping residents proactively address maintenance issues and save money on utilities. Water leak detectors can be placed almost anywhere around the house and send notifications if and when something starts to leak. In the middle of winter, wireless temperature sensors can even send alerts to homeowners telling them that their pipes are going to freeze. Larger buildings can also be equipped with wireless sensors that will automatically regulate temperature or lighting. For example, a building CO2 meter could tell an HVAC system to turn on the air conditioning if it detects a large number of people have entered a room. Occupancy sensors could instruct smart lights to turn on or off depending on where human presence is detected. Wireless sensors on LPWANs will also support precision farming in a big way. Interconnected devices will be able to exchange information and help farmers manage water usage and crop health. LPWANs will also become more and more valuable for asset tracking as sensors can share location and status information to automate supply chain operations. With LPWANs, IoT possibilities are endless. Radio Bridge designs and manufacturers the wireless sensors that enable IoT across a variety of industries and applications. Our products are specifically designed for organizations in the home security, smart city, medical device, and industrial automation sectors. 5G is the next revolution in wireless cellular mobile communications. The technology promises unprecedented data rates at reduced latencies and costs. As a result of its performance capabilities, 5G will unlock incredible technological innovation. Among many other applications, 5G will enhance IoT connectivity tremendously and increase the volume of wireless sensors that can be simultaneously connected to the Internet and to each other. As 5G coverage spreads, the importance of LPWANs will grow. Radio Bridge offers comprehensive wireless sensor-to-cloud solutions built on emerging wireless standards. They design and manufacture hardware sensors, bundle network connectivity, and offer a web-based device management console for tracking wireless sensors in the field. Radio Bridge wireless sensors are compatible with the leading LPWAN standards such as Sigfox, LoRaWAN, and NB-IoT. They can also work with clients to develop low-cost, long-range wireless sensors that enable their IoT applications. To learn more about how Radio Bridge can help you deploy sensors on low-power wide-area networks, contact our team of experts today.